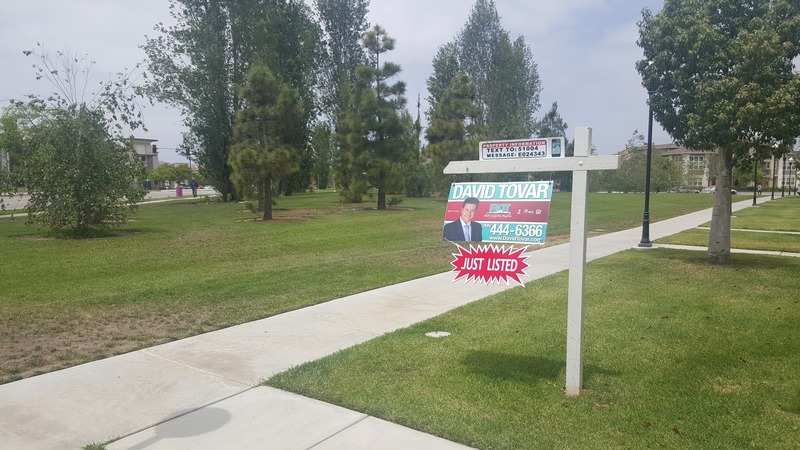 We live in the world of the internet and mobile technology, therefore I leverage these to create maximum exposure for properties in Riverpark. 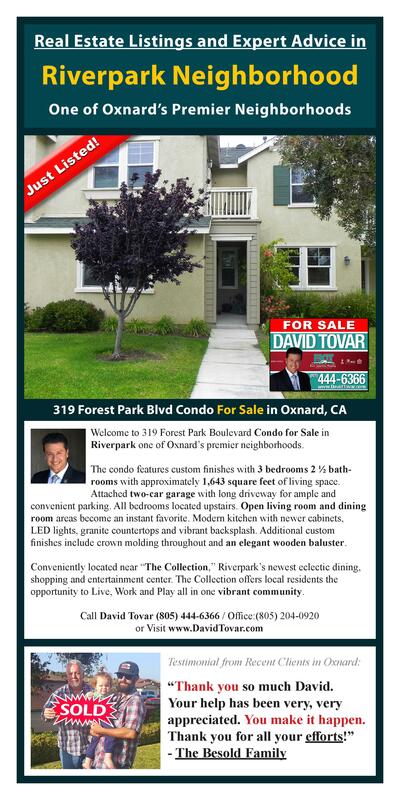 Take for example 319 Forest Park Blvd Condo for Sale in Riverpark, City of Oxnard, CA and the use of the sign rider with mobile text messaging capabilities, the Direct Response Marketing Postcards mailed to neighbors with hyperlinks connecting them to property details via the internet, and interactive property flyers with an individual web link making the flyer more appealing and interactive. These new tools help express the feeling of the property to potential buyers increasing the desirability of the home. 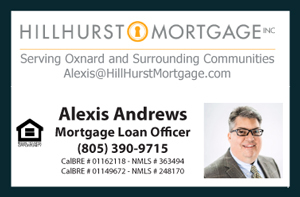 In this video I briefly discuss a few Marketing advantages for Riverpark Sellers in Oxnard CA. I am standing in front of 319 Forest Park Blvd Condo for Sale showing how I create the edge with Mobile Text Technology, Direct Response Marketing Campaign, and Interactive Property flyers and more! These are just some of the few ways we create success for our neighbors in Riverpark helping them receive top dollar for their properties, in the shortest period of time, with the least amount of inconvenience. Families in Riverpark are on the go! With these basic, yet powerful tools we make it easy for them to catch a glimpse of the home, see special features and updates, as well as book an appointment if they are motivated. These are just a few ways that I help give sellers an edge.